As someone who often wonders what life in the near future will be like and where humanity is headed, I found the premise of Thompson’s debut novel very intriguing. A future where babies can be genetically engineered according to their parents wishes is not just possible, but actually very probable, and so it was interesting to see a take on what that world would look like. The world building in The Unexpected Inlander is detailed and well thought out, and it’s explored well without the writing coming off as too info dumpy. This possible version of the future felt grounded and realistic, and it’s obvious a lot of work went into it’s portrayal. However, I felt that the premise was let down a little by it’s plot and characters. I found it hard to connect with either protagonist, mostly because they didn’t come across as fully formed, individual people. This might be because of the way the POVs are written – they jump from Christopher to Jenna randomly, which was a little jarring, and hindered the development of individual voices for the two characters. The pace and the action felt rather slow. The writing is focused and detailed, which is great, but I felt that it slowed down the action at certain points. A little variety would have been good here. The plot twist is predicable, and I was disappointed with the way the fallout played out after the reveal, and the resolution. I expected a few more fireworks, to be honest. 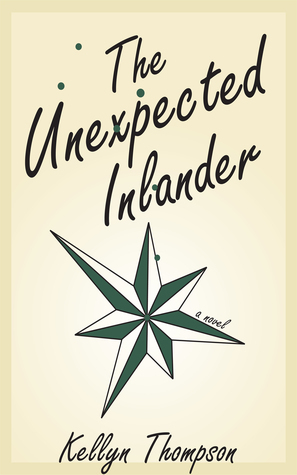 Overall, The Unexpected Inlander was a good debut, and I look forward to seeing what else Thompson can deliver. Perfect for: Lovers of “what if” Sci-fi and sugar coated romance. Previous postTop Ten Tuesday – On Holiday!